The Unicorn is one of the most mysterious of all animals and calls to a magical place of great, unsolved mysteries. 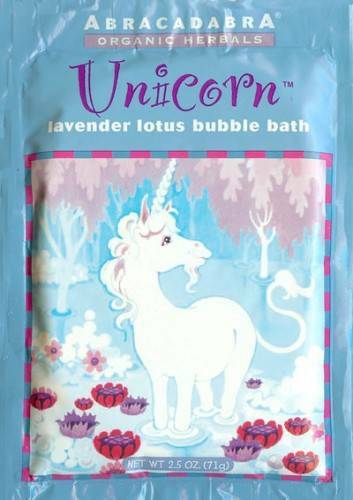 Childrens Bubble Bath Packets - The Childrens Bubble Bath Packets are a re-introduction of bubble bath packets that were popular in the 80s. We had so many calls from people/moms who had used them when they were little and now wanted to use them for their children that we started making them again.